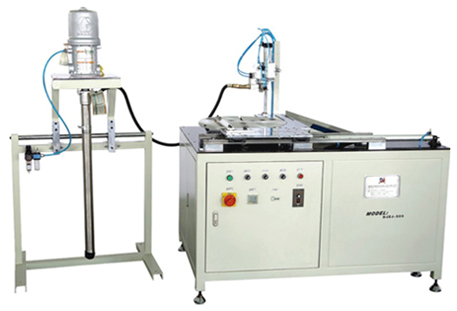 This machine is used to dispense PVC on the end caps of the heavy duty air filters. 4. The imported dispensing pump is used to ensure the dispensing quality.